It was a bitter cold, wind-swept day that so often categorizes an April day in Boston and flurries of snow swirled in gusts of blustering wind that cut to the bone. However that did not stop about 3500 brave souls from spending the afternoon sitting at Fenway Park to witness its very first baseball game. 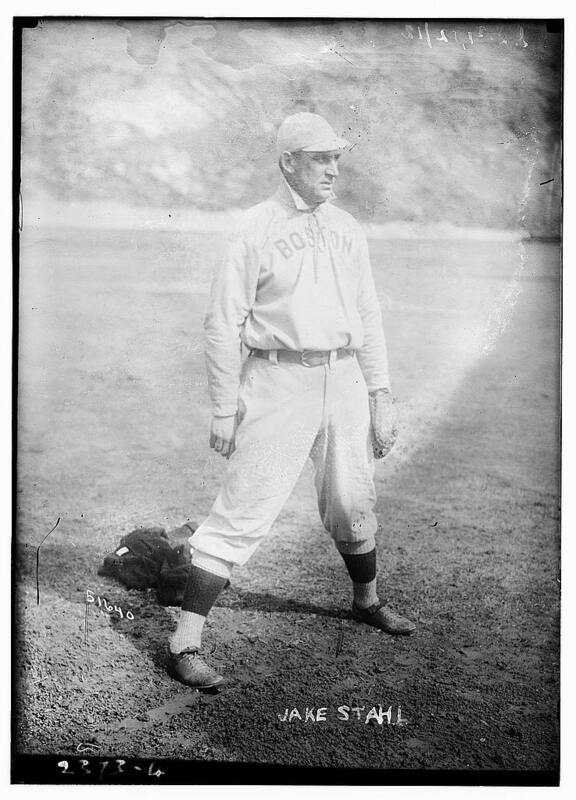 It was 100 years ago today at 3:30 PM when a young man named Dana Joseph Paine Wingate strolled into history as he stepped into the batters box at Fenway Park. The first batter in her history, he was struck out by Red Sox pitcher Casey Hageman and as he carried his bat back to the dugout, he had no idea the place in history that would forevermore belong to him. 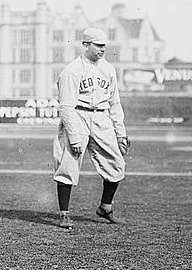 Casey Hageman was the Red Sox pitcher who hurled on April 9, 1912 against Harvard University. He not only got the win but he knocked in the only two runs scored that day with two RBI singles. Paul Shannon covered the Red Sox for four decades. The pitcher for Harvard’s Crimson was Sam Felton and it was he who surrendered Fenway Park’s first base hit. 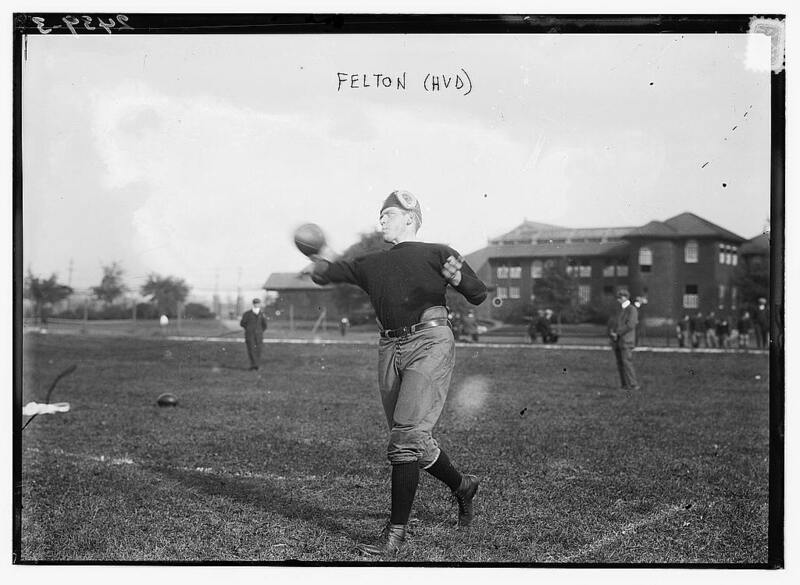 Felton was an end on the Harvard University football team. He also handled punting and kicking duties as well. A first team All-American in 1912, his punts averaged between 60 and 70 yards. In the 1950s noted sportswriter Grantland Rice named Felton among the finest college kickers he had ever seen. Upon his graduation in 1913, Felton was offered a three-year contract by Connie Mack to pitch for the Philadelphia Athletics. Mack is said to have been of the opinion that Felton would be “one of the greatest pitchers in the history of the game” and the $15,000 offer was the most money ever offered a collegiate player. Felton refused and went home to Haverford Pennsylvania to pursue a business career. Red Sox second baseman Steve Yerkes registered Fenway Park’s first hit, a first inning single off of Sam Felton. Felton’s performance that day was one for the ages. The right-hander pitched five innings and walked 10 batters. That’s right 10 batters! However only two of them scored as he allowed only four singles and twice got out of bases loaded situations. 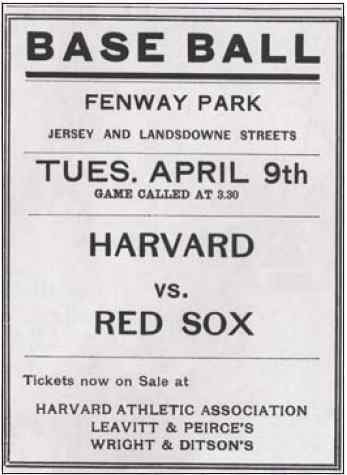 Harvard’s only hit came in the fifth inning when second baseman and captain Robert Potter singled into left field. He stole second but was then picked off ending any threat. In the sixth Harvard came as close to scoring as it would all day. 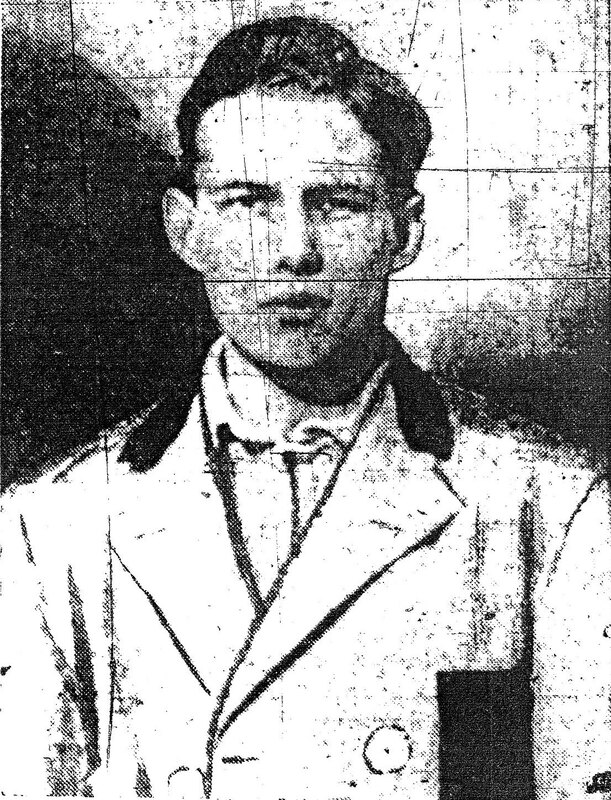 Center fielder Richard Wigglesworth walked, went to second on a passed ball, took third on an infield out and was then nipped at the plate attempting to steal home. 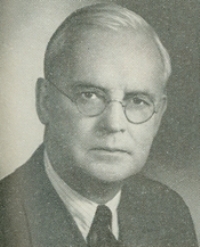 Wigglesworth served in the House of Representatives as a Massachusetts Congressman from 1928 until 1958. He was named by President Eisenhower as Ambassador to Canada in 1959 and served until his untimely death in October of 1960. A World War I veteran, he is buried in Arlington National Cemetary. By the seventh inning, the snow was swirling, the baseball was continually covered with mud and the fans were leaving. Red Sox manager Jake Stahl and his Harvard counterpart, Frank Sexton, decided to end it after Harvard’s seventh inning and Fenway Park’s first game was in the books. 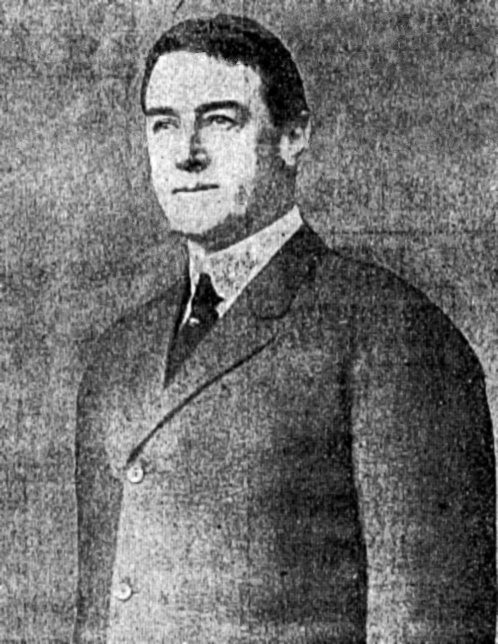 Jake Stahl managed the Red Sox in 1912 and 1913. Dr. Frank Sexton maintained a medical practice in Brookline Massachusetts while managing the Harvard University baseball team from 1910-1915. As Fenway Park celebrates her 100th birthday the names of Tris Speaker, Harry Hooper, Duffy Lewis, “Smokey” Joe Wood et al will make their way back on to the Boston sports pages. And for an ever so brief moment so to will the names of Sexton and Wingate and Potter and Wigglesworth and Felton. 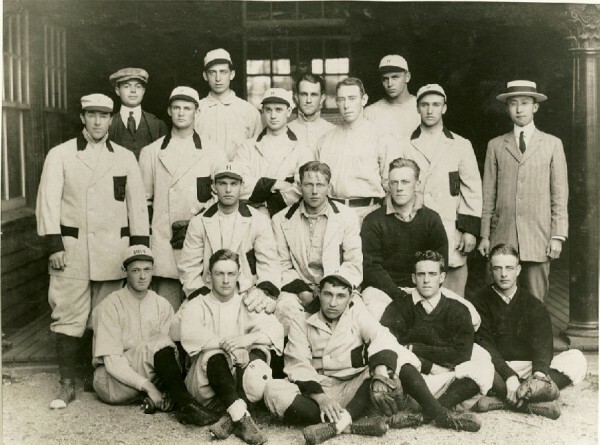 The boys of Harvard University who a century ago played a “winter” baseball game in a little ball park in the Fens. And so it was on this date in Fenway Park history, April 9, 1912. 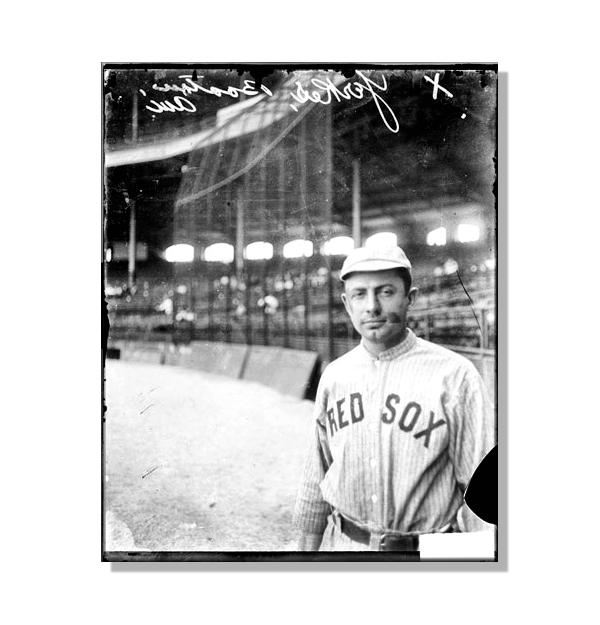 This entry was posted in Fenway Park Baseball and tagged "Duffy" Lewis, 1912, Bob Potter, Boston Post, Casey Hageman, Dana Joseph Paine Wingate, Fenway Park, Frank Sexton, Harry Hooper, Harvard University Baseball, Jake Stahl, Paul Shannon, Pedro Martinez, Red Sox, Richard Wigglesworth, Sam Felton, smokey joe wood, Steve Yerkes, Tris Speaker. Bookmark the permalink.